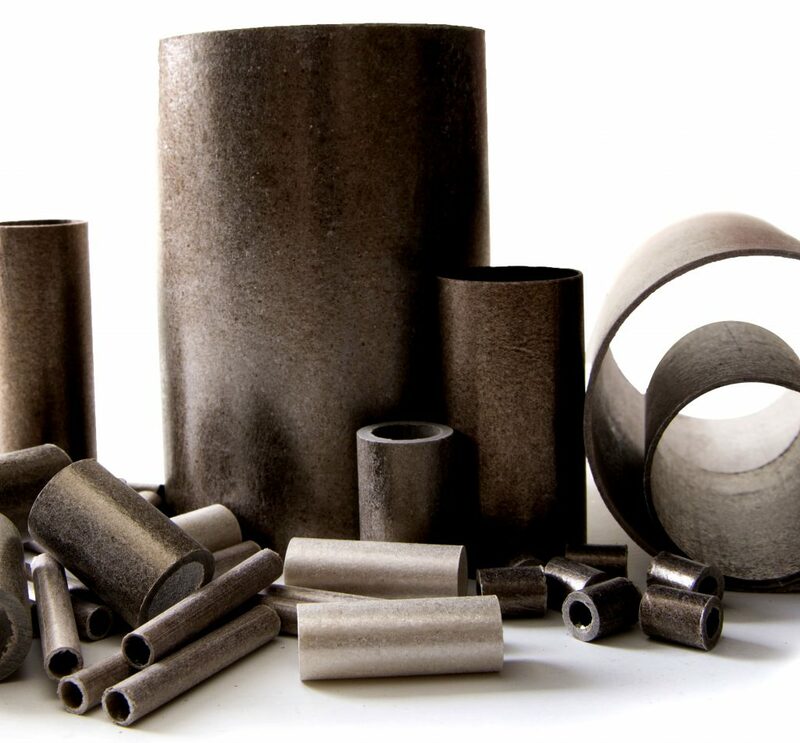 Possessing the same versatile qualities as mica sheets, Elmelin’s rigid Elmtube mica tubes are manufactured from muscovite or phlogopite mica grades. Employing mica’s exceptionally high heat resistance, rigid mica tubes also provide excellent electrical insulation properties. Multi-functional mica tubes come in different diameters and thickness, and their mechanical and electrical strength makes them the preferred choice for insulating a broad range of electrical appliances, along with their use in electrical motors and smelt furnaces. Mica tube is available in inner diameters of between 5 mm and 260 mm, and lengths of either 1000mm or 1200mm. You will find mica tubes in many devices and commonly used appliances, such as hairdryers, air blowers and heat guns. The mica tube acts as an insulation sleeve, protecting the core heating elements from high temperatures, or other damage through leakage. We can cut our tubes to whatever size you require. They are lightweight, and therefore can be easily fitted into appliances and devices of widley varying dimensions. Furthermore, Elmelin’s manufacturing processes mean we can also ensure that mica tubes are fully waterproof, which increases their durability and protective properties. You might expect a tube to be strictly round in diameter, but in fact our specialised manufacturing capability means we can produce square tubes to order. Square mica tubes are mainly used in electric arc furnaces, and we can produce them to suit individual customer specifications. Mica tubes are essential, problem-solving product components. Maintaining their superior insulation qualities across a wide range of dimensions, they are a supremely adaptable insulation solution. For your insulation manufacturing needs, contact Elmelin to find out how our mica product range can support your production capabilities. Ready to discuss your insulation requirements?